What is the path from incarceration to activism? The answers are many, but in this webinar representatives of three sites – dealing specifically with women and incarceration – share the story of the path from individual trauma to reconciliation, healing and advocacy. Members in multiple regions will share their successes and challenges in creating platforms for women’s stories of incarceration. Participants will learn useful strategies for advocacy and the ways in which the power of place – and the power of women – can build stronger, more resilient communities. To see the monthly schedule for Conscience Matters, click here. Over one billion unique devices connect to Wikimedia projects every month. For cultural organizations, Wikipedia – which is entirely free and highly accessible – is a particularly powerful resource. In February, we welcomed Luisina Ferrante, Coordinator of the Human Rights Wiki Project in Argentina, to speak about the movement for free knowledge and offer fresh strategies for how Sites of Conscience can create the most engaging entries and maximize their exposure on the site. Sessions were offered in English and Spanish. In this webinar, we discussed LGBTQI+ advocacy with 2 Coalition members, the One Pulse Foundation (USA) and the Memorial Museum of Dominican Resistance (Dominican Republic). The needs and possibilities for LGBTI+ advocacy are different around the world. These 2 institutions explored questions like: How do spaces become LGBT+ memory sites and what do they aim to highlight? How can we make LGBTI+ related issues more visible? Why do we need these spaces? How can we make LGBTI+ issues more relevant and visible in the context of memorials? Members can access the recording of the webinar through the Resource Center. To support and inspire broad civic action on local human rights issues, the Coalition has developed Regional Networks. By engaging with these dynamic networks, members can coordinate and elevate their individual efforts to remember common histories and address their legacies today. Regional Networks build the capacity of emerging initiatives in each region and strengthen the collective memory of past struggles for human rights. 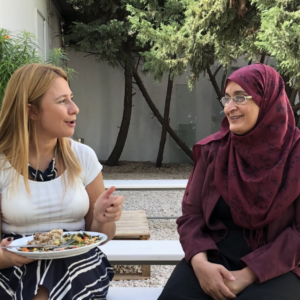 To facilitate this, the Networks meet regularly to explore opportunities for cross-regional exchange and collaboration, providing members with the unique experience of sharing methodologies and best practices across regions. Below are recent meeting dates; 2019 meeting dates are forthcoming. For more information on Networks and how to join meetings, please contact Linda Norris. The Latin American and Caribbean Network met in Colombia from October 2-4, 2018 to develop a communications and advocacy campaign around enforced disappearances. 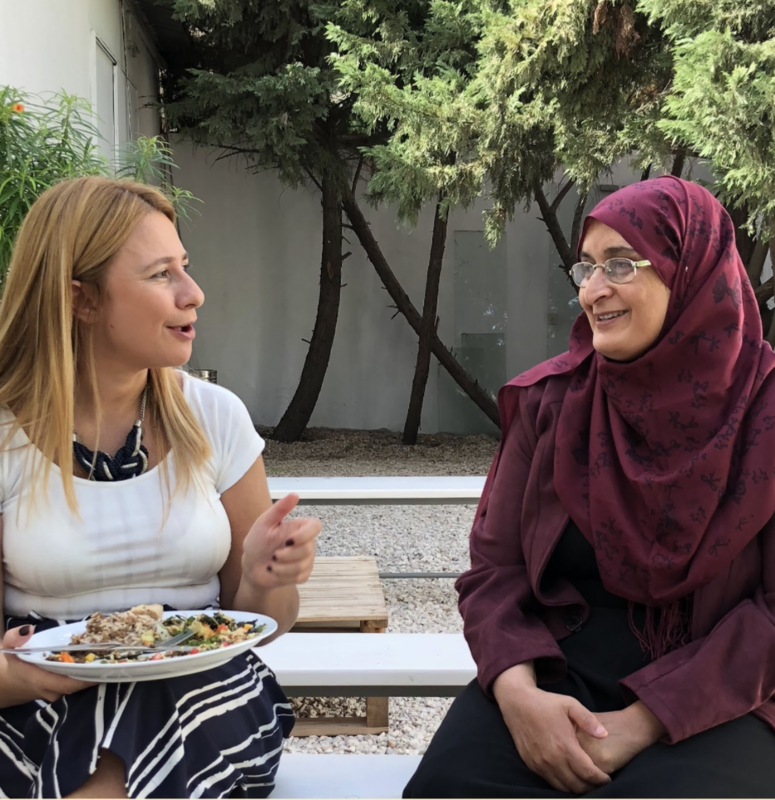 The Middle East and North Africa Network convened in Beirut, Lebanon from October 22-24, 2018 to continue work on digital mapping and to explore the development of more physical Sites of Conscience in the region. The European Network met in Monte Sole, Italy from November 13-16, 2018 to examine the notion of individual responsibility, particularly as European nations continue to struggle with issues such as migration, xenophobia, and a rise in nationalistic sentiments. The main objective of the webinars was to share memorialization experiences between victims/marginalized communities in Sri Lanka and Nepal. 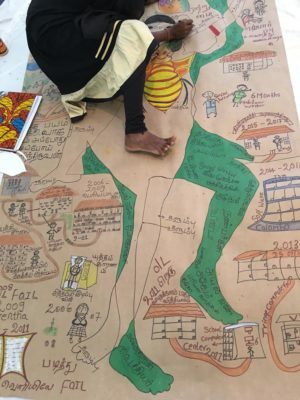 Each webinar provided a space for participants to share their experiences participating in Body Mapping workshops (Sri Lanka) and Embroidery workshops (Nepal). Please RSVP by September 20, 2018 by emailing: coalition@sitesofconscience.org. 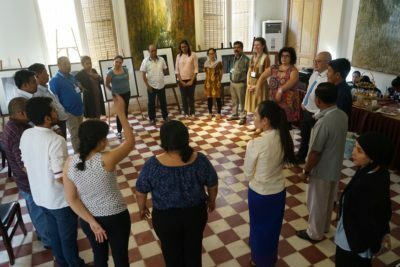 With a focus on oral history, in this Conscience Conversation we spoke with members who have worked on peace building in hostile settings, including Mitzi Austero of Nonviolence International Southeast Asia. Will Walker from Cooperstown Graduate Program also provided an overview of best practices regarding oral histories in a broad range of settings. Looking for new ways to engage visitors on contentious issues? This Conscience Conversation brought together Angelina Martinez, a Phd candidate from the University of Texas at El Paso’s Borderlands Public History Lab, and Lorena Andrade, Director of La Mujer Obrera, to discuss how they are utilizing the past to address contemporary issues surrounding immigration and education equity in their community. Borderlands is a participating member in From Brown v. Board to Ferguson, the Coalition’s three year initiative designed to foster dialogue on incarceration, education and civil rights. With ten other members, the site recently contributed to the first of two program toolkits on innovative ways to facilitate dialogues about divisive issues within communities. Their specific model was derived from traditional indigenous cultural practices in the Americas, and focused on issues raised among borderland people and communities. You can access the entire toolkit, which focuses on dialogue models, here. The conversation focused on the challenges and successes of developing these models; offered advice on how Sites of Conscience can best cultivate dynamic partnerships with community organizations and youth activists; and provided an opportunity to share work on how issues of immigration and activism function on the border. Laura Perez of the Memorial Museum of the Dominican Resistance skyping in to the Asia Regional Meeting to share lessons learned from her museum’s work with LGBT communities. Sites of Conscience from across Asia – including members in Cambodia, Sri Lanka, Afghanistan, the Philippines, Nepal and India – met in Phnom Penh to learn new skills to engage marginalized communities that were victims of past struggles for justice so they can participate in memory processes and incorporate their narratives into official accounts. In addition, participants visited Kraing Ta Chan, a former “security center” under the Khmer Rouge that was used to jail, torture and execute perceived enemies of the regime. Today, Kraing Ta Chan (KTCSC) is a Site of Conscience, a place where survivors can tell their stories and others, particularly children, can learn from them. Members also visited Tuol Sleng Genocide Museum, a former high school used as a torture and detention center by the Khmer Rouge. An estimated 17,000 people were imprisoned there; of them, there are only 12 known survivors. 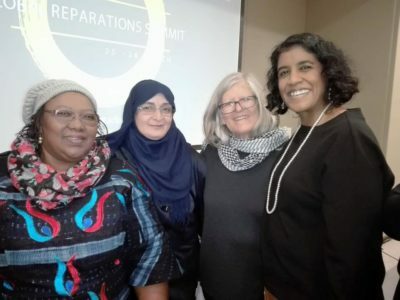 Organized by the Coalition’s Global Initiative for Justice, Truth and Reconciliation, the Global Reparations Summit brought together approximately 80 victims’ associations, human rights activists, experts in transitional justice and other relevant stakeholders from 35 countries around the world. Summit participants highlighted key and common challenges in the development and implementation of reparation programs as well as identified widely-applicable solutions and ways forward at the national and international levels. This workshop brought together educators, project partners and expert consultants from four continents to explore memorialization-based approaches in education programs about mass atrocity. The workshop’s objectives were: 1) to share experiences, ideas, and practices on the teaching/learning about mass atrocities in the participants’ respective countries, especially using non-traditional methodologies, such as oral history, intergenerational dialogue and art; 2) to highlight GIJTR partner DC-Cam’s approaches and lessons learned in teaching genocide education in Cambodia; and 3) to refine the participants’ country-specific plans of action, with focused discussions on country-specific challenges and opportunities. 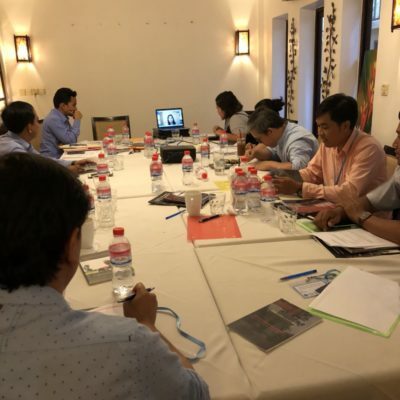 Participants received training in methodologies such as oral history collection and intergenerational dialogue and discussed topics related to curriculum reform and resource development. 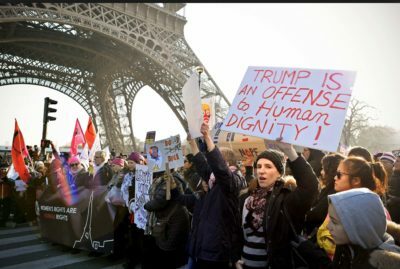 The rise in nationalist movements across the globe has grave implications for those working in human rights. Just following the first anniversary of the election of Donald Trump as President of the United States, this virtual conference provided opportunities for Coalition members and others to share thoughts about the role of Sites of Conscience in this new environment, gain insights from members in regions with extensive experience working in hostile settings, and learn the latest tools for effective visitor engagement as well as self-care strategies for individuals and workplaces. For more information on sessions and speakers, click here. Sixty-three years after Brown v. Board of Education, which ended legal segregation in public schools, education equity remains elusive. Schools often remain segregated in practice, and Black and Latino students face unequal educational opportunities. In October 2015, the International Coalition of Sites of Conscience launched a three-year initiative, From Brown v. Board to Ferguson: Fostering Dialogue on Education, Incarceration and Civil Rights, with generous support from the U.S. Institute of Museum and Library Services. 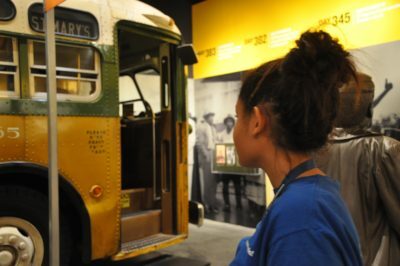 Through this grant, 11 Coalition members and their community partners are creating dynamic public engagement programs focused on youth with the goal of fostering much-needed dialogue on race, education equity and incarceration in the context of civil rights history. Additionally, the project trains and works with young people (ages 15-25) to assist them in establishing their own civic engagement programs at local museums, equipping them with current organizing strategies so that they can engage their communities beyond their dialogue sessions. To this end, the Coalition hosted a Youth Engagement Summit in November 2017 at the National Civil Rights Museum, at the site of Dr. Martin Luther King’s assasination. Over two dozen young people attended the summit, receiving training and guidance from dialogue and civic engagement experts, including nationally recognized social media activist April Reign.